Bhubaneswar: The France based Vicat is in the business of cement manufacturing for the last 200 years. Vicat Group operates in 11 countries, namely: Egypt, France, India, Italy, Kazakhstan, Mali, Mauritania, Senegal, Switzerland, Turkey, and United States. In these countries, it has 15 integrated cement plants and five grinding units with a total cement capacity of over 30 million tonnes per annum (MTPA); 248 concrete batching plants; and 70 aggregate quarries. It employs nearly 8460 persons across the world. 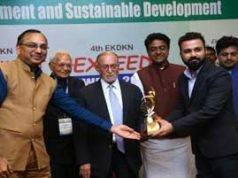 Vicat had entered in India about a decade ago as sixth cement MNC and now it has two cement companies – Bharathi Cement and Kalburgi Cement with a cement capacity of 7.75 MTPA. It also has aggregate business, one poly propylene sacks unit, two CPPs with 60 MW and one WHRS of 8.4 MW. VicatGroup in India In April 2010, Vicat Group acquired 51% stake in Hyderabad based Bharathi Cement Corporation Pvt. Ltd. Originally Bharathi Cement setup a 5.00 MTPA cement plant in Kadapa district of Andhra Pradesh. Vicat has another cement unit in Karnataka with 2.75 Million Tonnes per annum (MTPA) capacity. The total capacity is 7.75 Million Tonnes per annum. The company has also invested to build a robust back-end rail and road transport system ensuring the delivery of its cement within 24 hours of placing an order. 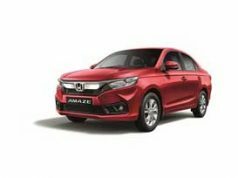 In the last eight years, the company has expanded its markets to many new States and now it has presence in eight States, namely: Andhra Pradesh, Telangana, Goa, Karnataka, Kerala, Maharashtra, Pondicherry and Tamil Nadu. Bharathi Cement has built a strong network of about 3300 dealers and 10,000 Sub-Dealers across all South Indian States, Maharashtra and Sri Lanka. 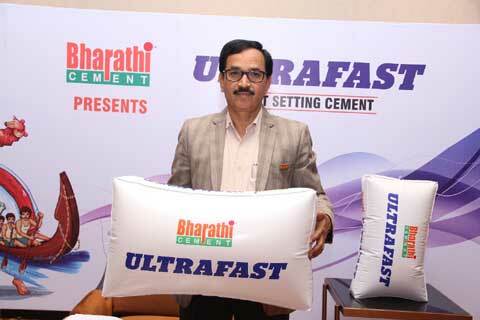 “BharathiUltraFast” is Premium quality cement promoting Greener Construction which is produced with Robotic Technology. This is one of the best inventions for Engineers and Masons for all concrete applications. “BharathiUltraFast”, is having higher advantage and complete package of benefits of standard OPC 53 cement available in market. • This gives faster Pre Casting work even in humid conditions. • High early strength of concrete allows for faster removal of the Form Work (De Shuttering), thereby improving the productivity. • Higher later strength gives superior durability for concrete structure. It increases the structural stability of concrete slabs, beams and heavy load bearing applications.• “BharathiUltraFast” has a superior advantages of continuous strength gain property even after 28 days. • “BharathiUltraFast” leads to dense & impermeable concrete• Better Fineness, micro particle size distribution and optimum additive percentage in “BharathiUltraFast” improves the flowabillity and aids in making concrete denser & impermeable. 6. BEST SUITED FOR CEMENT BRICKS MANUFACTURING.